Bromine is one of the halogen family with chemical symbol Br and atomic number 35. 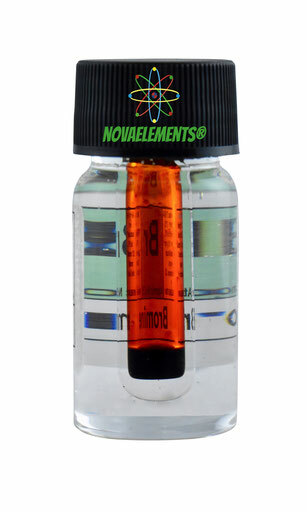 It is a red highly volatile liquid at normal pressure and temperature, is very dangerous for health and must be placed in a sealed ampoule only. 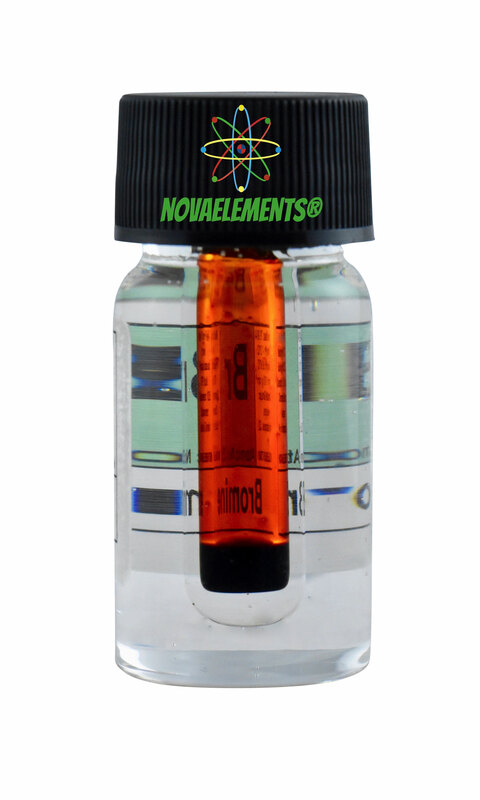 High purity Bromine 99% mini ampoule (3-4cm) in glass vial of 4 cm and 1,2 cm of diameter. This specimen is a real must have for every element collectors. the making of these mini Br ampoules is a very difficult process, it means high cost for the samples.